The Premier League returns this weekend for a huge game at the top of the table as Liverpool host Chelsea on Saturday evening. With second to seventh in the table separated by just four points, every victory or hard-earned draw is even more valuable as the season continues. What must both sides do to win the game though? Both teams have vastly differing approaches to games, while their style and formations are the polar opposites to one another. The strength of the teams, the way they play, the tactical nous of the managers, and the prize at stake means this could be the match of the weekend in not just England, but in Europe. The Reds have been able to turnaround their poor start to the season and they look like a strong bet to take a top-four place this season. In their last five games they have won three times, losing once and drawing once. Considering they were some way off the top-four only a few weeks ago, three wins in a row have come at a superb time as Tottenham have dropped six points in their last three games. 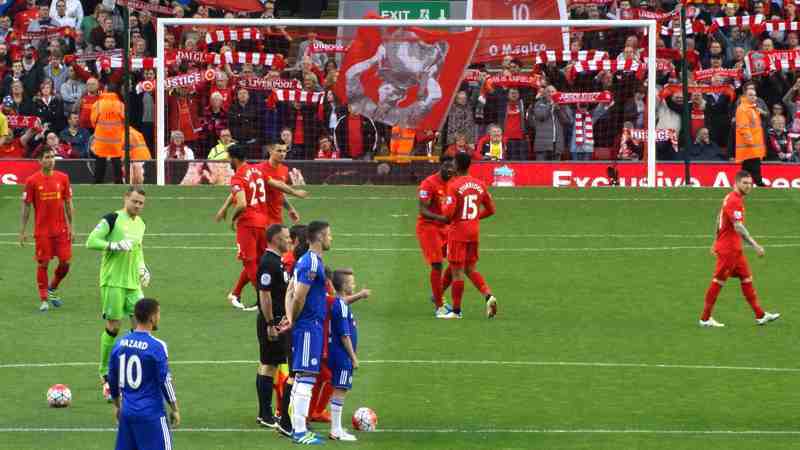 What must Liverpool do to beat Chelsea? Liverpool are a classic example of how a top-heavy team function in a league where being good in either attack or defence is not enough. Their main objective for the game should be to find a way to stay solid at the back. Against Sevilla in midweek, the Reds surrendered a 3-0 advantage to leave Spain with just a point, as their weak defence and a real lack of concentration cost them. Sevilla are by no means a bad team, but they are not lauded for their all-conquering attack, and they are instead known for their defence. Therefore, by going three goals up, Liverpool had done all of the hard work, which was breaking down a resolute Sevilla outfit, meaning they had the far easier job of seeing out the win. However, in true Liverpool style, they somehow managed to allow the hosts to score three goals and salvage a point. Real Madrid, Barcelona, PSG and Manchester City, all teams this season that would not allow a side to come back from 3-0 down. If Liverpool want to be amongst the best, they need to start defending like them. Jurgen Klopp must also look to utilise his superb attack to cut Chelsea open on Saturday. Antonio Conte and Jose Mourinho have both been guilty of forcing their outstanding attacking players to defend incredibly deep as they look to ensure that they won’t lose a game, and this has been detrimental to the outcome of the contest. Jurgen Klopp on the other hand seems to be under the idea that attack is the best form of defence. Of course, this can be true, but Liverpool have to be on top form to implement this. Against Manchester City in September, the Reds were dismantled by the current leaders in a 5-0 defeat. Liverpool went to the Etihad Stadium looking to do what they had done to Arsenal before, which was to keep the ball meaning Arsenal could not attack, but they came unstuck. In the end, Liverpool’s below par defence was exposed and they paid for it. Liverpool must look to stay tight at the back then, and that can be achieved by playing two defensive-midfielders in the side. The partnership of Emre Can and Jordan Henderson is an underrated one, but the two are superb when looking to cover their back four, with their blend of aggression, strength, intelligence and grit supplementing a defence that is all too easily breached. 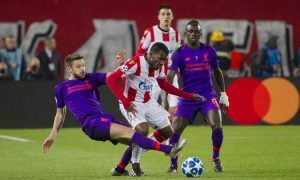 Klopp may be tempted to utilise Philippe Coutinho and Georginio Wijnaldum next to one of Henderson or Can in the middle as Chelsea will look to sit deeper, but if they are caught on the break, it is clear which parternship would be more likely to be tracking back or already in a defensive position, and which would be watching on from further up the pitch. Finally, Klopp must look to draw Chelsea out of their shape. Against Manchester City, the Blues sat incredibly deep and were dominated throughout the game. 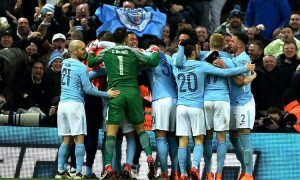 However, the big-scoring leaders took a long time to find the back of the net, and it took a moment of brilliance from Kevin De Bruyne to win the game. While Liverpool do have an outstanding attack, they are not as fluid and impressive as City, and Chelsea are also playing very well at the moment. Klopp needs to find a way to drag the Blues’ defensive-midfielders out of their shape and try to utilise the intelligence and the on the ball magic of his front-three to punish their opponents. As Chelsea will sit so deep, over the top balls will be nullified, while wing play will be met by the left-wing back and left-midfielder doubling up on the Liverpool player, while if a cross makes it into the box, there are three centre-halves in there to deal with it. Therefore, Liverpool will need to remain patient with the ball at their feet as they look to move it from one side of the box to the other, waiting for an opportunity to present itself via ill-discipline or a moment of magic. Chelsea have been going through a period of very good form in recent weeks as they have managed to get over their lacklustre display against Manchester City by winning four games in a row in the league. Indeed, they easily swept aside Qarabag in the Champions League to qualify for the knock-out stages, and they also sit in third-place in the league, a single point behind Manchester United in second. What must Chelsea do to beat Liverpool? Antonio Conte has something of a conundrum on his hands this Saturday as he has seen the two sides of playing defensively in their games against Manchester City and Manchester United this season. Against City, Chelsea were played off the park as they were lucky to keep the scoreline at 1-0. Pep Guardiola’s men dominated their hosts, and their slick style of play was too much for even the defensive solidity of Chelsea. Against United, the Blues were able to defend strongly, but they were also able to push up the pitch and catch the opposition out on numerous occasions. Of course, Jose Mourinho seemed to be utilising a similarly defensive system, but it displayed the fact that Conte’s defensive stystem can be very effective against the top teams. However, against Liverpool, Conte will know that defensive frailties have cost the Reds points this season. Against both Manchester sides, Chelsea came up against two outfits that have conceded a combined 13 goals in 24 games, whereas Liverpool have picked the ball out of their own net 17 times already. Should Conte sit deep and soak up the pressure before looking to break? Or should he allow the likes of Eden Hazard and Alvaro Morata the creative licence to get forward and cause a struggling backline problems? Playing with wing-backs will also allow Chelsea to overload the wings with players. Depending on how many midfielders Conte decides to use, there could be a constant overlap for the likes of Hazard and Pedro to exploit out-wide. With Morata a livewire in the box and able to take a headed chance, as hedisplayed against United, Liverpool will find it tough to cope. Similarly, if Liverpool are constantly covering the overlap, it allows the likes of Hazard and Pedro to cut in and drive at the centre-halves, who are the weakestplayers in the defence. This gives Klopp a major issue at the back, forcing him to utilise more defensive cover in the middle, thus sacrificing an attacking-outlet. Both sides know that if they are to have any chance of catching City, they cannot slip-up anymore. While the two have been in good form in recent weeks, they will have to be at theri very best to beat the other in what could be a very fiery affair. 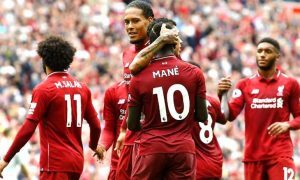 However, their Champions League preparation could not have been more different, and Liverpool will go into the game afraid of how their defence will hold up on Saturday. If Conte allows his attacking players some freedom, it could be yet another difficult outing for Liverpool’s back-four.